SERIES: There's one new series this week and it's a modern western crime drama from A&E. 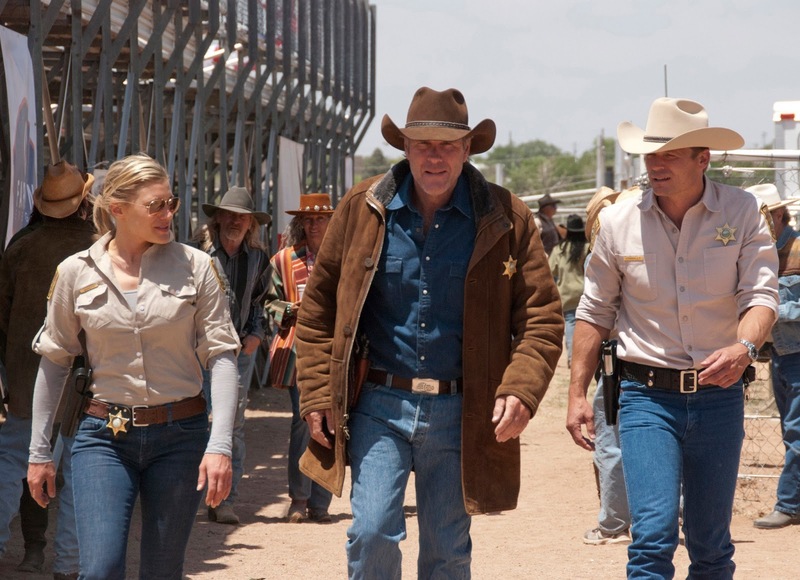 Longmire follows Wyoming sheriff Walt Longmire as he returns to work following the death of his wife. It's not long before he's embroiled in a number of crimes. Fans of the Tardis and its famous navigator will be thrilled to know that this week brings us both Doctor Who Series Seven, Part Two and the Christmas episode The Snowmen. British Inspector George Gently returns for a fifth season and we also have new seasons of the CIA drama Covert Affairs as well as the legal comedy-drama Suits. DOCUMENTARY: The Rolling Stones are in town so revisit their early years with the HBO documentary Rolling Stones: Crossfire Hurricane, which covers their history through the mid-1970s and brings in all current members and some former members as well. 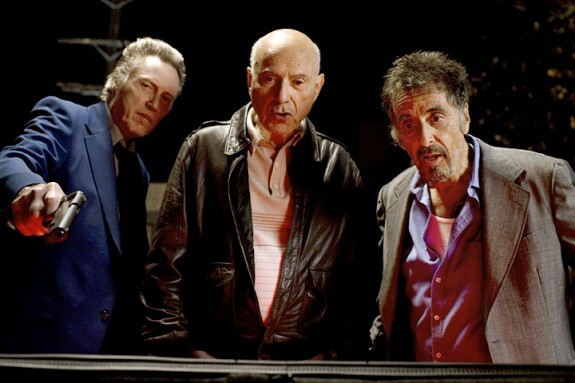 ENTERTAINMENT: An all-star cast featuring Al Pacino, Christopher Walken and Alan Arkin makes the caper comedy Stand Up Guys a movie that you'll want to see just for the performances. In Stand Up Guys, three aging thieves get together for one last job though one of them may have to betray one of the others. Steven Soderbergh's Side Effects is another critically acclaimed film from this eclectic director. It stars Channing Tatum and Rooney Mara as a successful couple whose world starts to turn upside down when they experience side effects from the new drug that their psychiatrist (Jude Law) has prescribed. You've got your choice of action flicks this week. The Last Stand brings governor Ah-nold back to the silver screen in the tale of a sheriff in a tiny Arizona town who must protect try to stop a Mexican drug kingpin who is headed right towards him. A group of misfits including Johnny Knoxville are around to give him a hand. Also, Donald Westlake's professional thief Parker (written under the pen name Richard Stark) comes to your living room as portrayed by action star Jason Stratham. After being double-crossed and left for dead, Parker teams with Jennifer Lopez to track down the team that betrayed him. ENTERTAINMENT: This week's big release has a name cast (with Tom Hanks and Halle Berry leading the way), not just one but two major directors in Tom Twyker (Run Lola Run) and Lana Wachowski (The Matrix trilogy), and was based on a popular book. Perhaps Cloud Atlas was a little too off-the-wall to pick up a major audience at the theaters - also it's almost three hours long - but now that it's out on DVD and Blu-ray it's a great opportunity for you to give it a try! 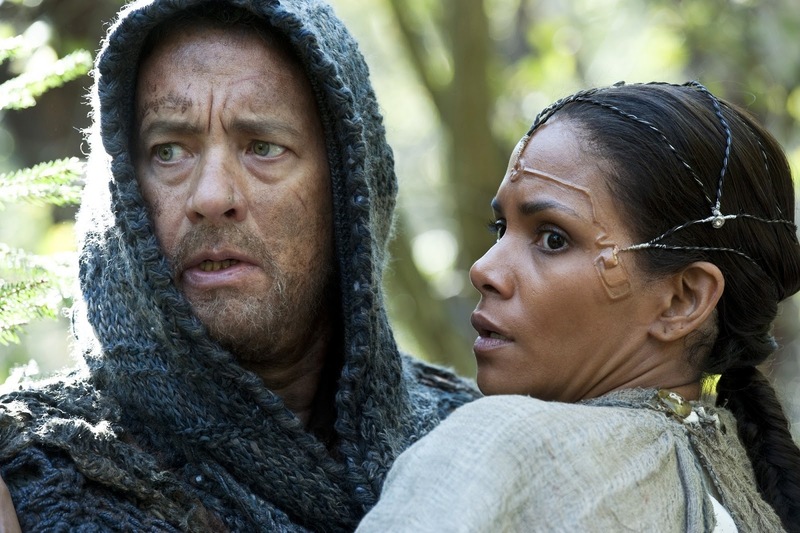 Hanks plays six characters from the past and future and many other actors portray multiple roles as well in six interwoven stories. It's a unique, fanciful, visually exciting film that may turn out to be right up your alley! Our indie pick this week is Leonie which stars Emily Mortimer in the true story of Leonie Gilmour, an independent woman whose unconventional lifestyle shook up Japan in the early 20th century. SERIES: How long can Showtime's Dexter continue to hide his "dark passenger"? Will he at least be able to keep it hidden through season 7, which comes out this week? Also, PBS series The Bletchley Circle follows four women who use their World War II code-breaking skills to solve a series of murders in London. SUBTITLED: The Rabbi's Cat is a French animated film about an Algerian Rabbi's cat that gains the ability to speak after eating a parrot. The movie is a fascinating look at Jewish, Arab and French culture in 1930s Algeria. ENTERTAINMENT: Lee Child's ex-military character Jack Reacher arrives on the screen in DVD and Blu-ray format this week in the film of the same name. 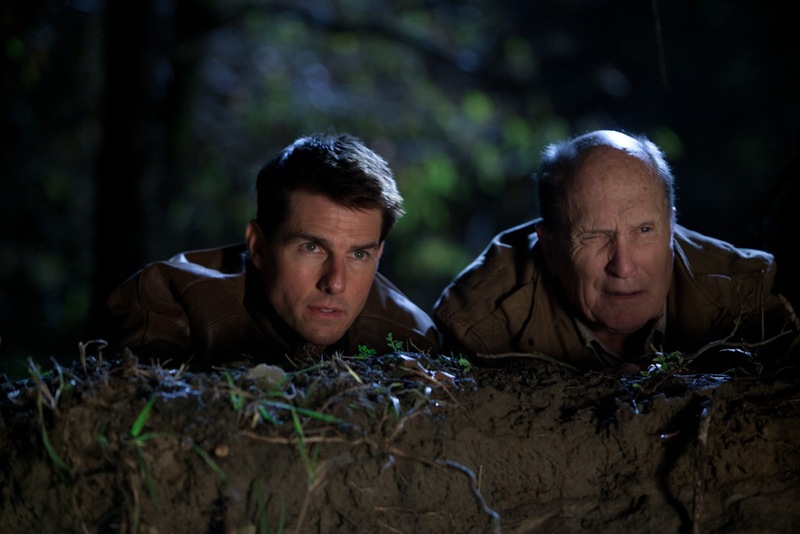 Tom Cruise portrays the title character who is brought in to investigate what seems like an open-and-shut case involving multiple shootings by a former Army sniper. Robert Duvall co-stars and Werner Herzog is eccentric in the villain role. Also this week, if you enjoy the dark visuals of director Guillermo del Toro's films such as Pan's Labyrinth you might also like the horror Mama, which del Toro produced. It stars Jessica Chastain as a woman who takes in two young girls who are found in the woods after five years of somehow surviving on their own. Finally, our first indie pick this week is Barrymore, with Christopher Plummer bringing his Tony award-winning portrayal of actor John Barrymore to your living room. Another wonderful little movie worth discovering is Starlet, about the relationship between two women - ages 22 and 85 - who live in the San Fernando Valley. SERIES: We've got the final season of the still hilarious 30 Rock and season four of the set-in-The-Hamptons USA Network doctor series Royal Pains. You can find all of our new and upcoming titles in Bibliocommons.